This Place of Worship was founded in 1867, but we understand it was closed in 1969. 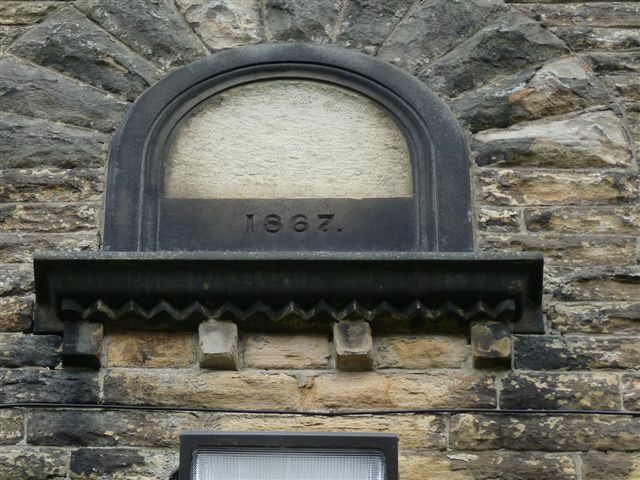 This building is marked simply as "Chapel" on OS Maps from 1880, and by 1938 as a Methodist Chapel; however the Wikipedia article on Hayfield enables us to identify it as the Hugh Bourne Primitive Methodist Chapel, "built on Jumble Lane (now Kinder Road)" in 1867, as indeed is demonstrated in its dedication plaque shown in the accompanying photograph. The article also tells us that it was deconsecrated in 1969, when its congregation merged with St John's Methodist Church, and its building is now in use as Hayfield Public Library. There is no evidence in the London Gazette that it was ever registered for marriages. The address I give, of Kinder Road / Vicarage Lane is to indicate its position, on the north east corner of the junction of the larger Kinder Road and Vicarage Lane. Vicarage Lane, perhaps unsurprisingly, leads to the old Vicarage. I have been unable to find the name "Jumble Lane" on any Old Maps, and indeed in 1898, Kinder Road is labelled as "High Street". I assume therefore that "Jumble Lane" was an even earlier name, and quite a reasonable one, since Kinder Road leads out of Hayfield centre through an area labelled on Old Maps as "Jumble", south east of the Chapel. 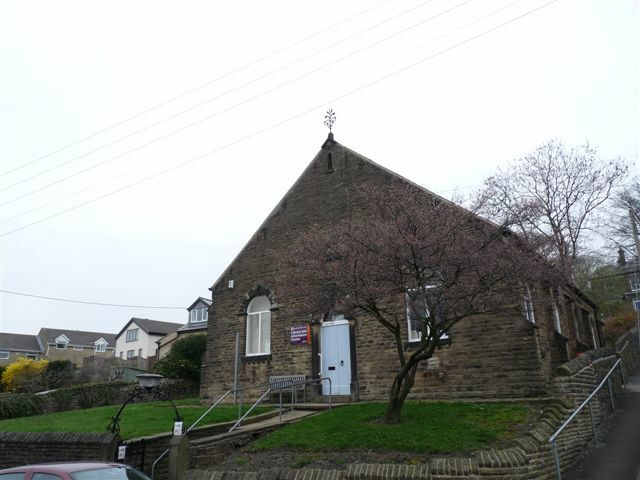 Hugh Bourne Primitive Methodist Chapel, Hayfield shown on a Google Map. Places of Worship in Hayfield shown on a Google Map. I have found many websites of use whilst compiling the information for this database. Here are some which deserve mention as being of special interest for Hayfield, and perhaps to Local History and Places of Worship as a whole. Information last updated on 12 Mar 2018 at 09:35. This Report was created 6 Apr 2019 - 03:11:40 BST from information held in the Derbyshire section of the Places of Worship Database. This was last updated on 6 Feb 2019 at 15:49.